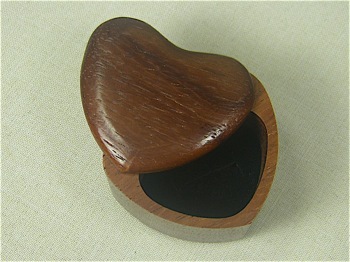 This Paduak Heart box can hold a sweet surprise inside for that special someone. It is crafted with a pivotal lid and stands 2 inches tall. Made in USA.